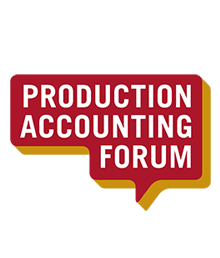 In 2011 a Best Practice Forum was established to create a network of production, finance and industry professionals, who share knowledge and experience, to promote best practice in production accounting across the film and TV industry. BBC, ITV, Channel 4, Channel 5, Sky, Tiger Aspect, Kudos, Darlow Smithson, The Production Guild, TPH Global Ltd and Freelance Production Accountants. The initial aim of the Forum was to produce a set of best practice documentation to be shared across the industry. The website was launched in February 2014 and contains the best practice guide to production accounting. Today, the forum continues to meet quarterly to ensure the information is kept up to date and discuss new issues facing production accounting. The Best Practice Guide will be regularly updated by the Production Accounting Forum and adjustments to the Guide will only be implemented with the approval of the Forum.